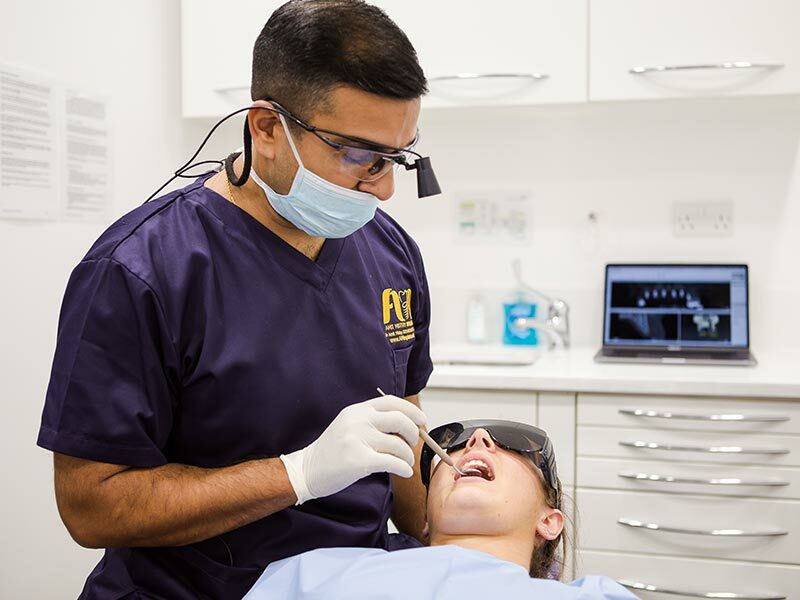 Dr Amit Mistry offers a range of implant options as well as related services, across the northwest of England, including Liverpool, Warrington and Manchester. 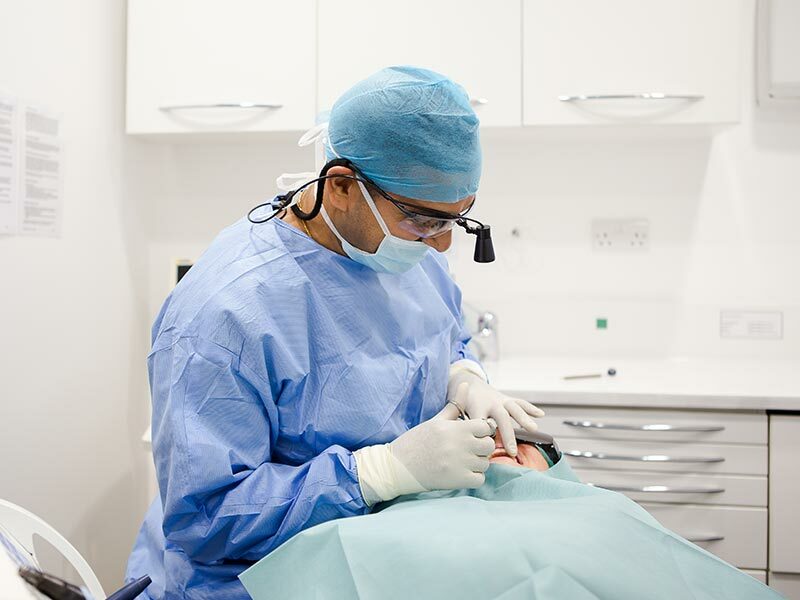 An exceptionally well-trained implant surgeon, Amit is pleased to undertake referrals for both routine and advanced cases. He also welcomes collaboration and is happy to work with you in varying degrees, according to your confidence level with implant placement. 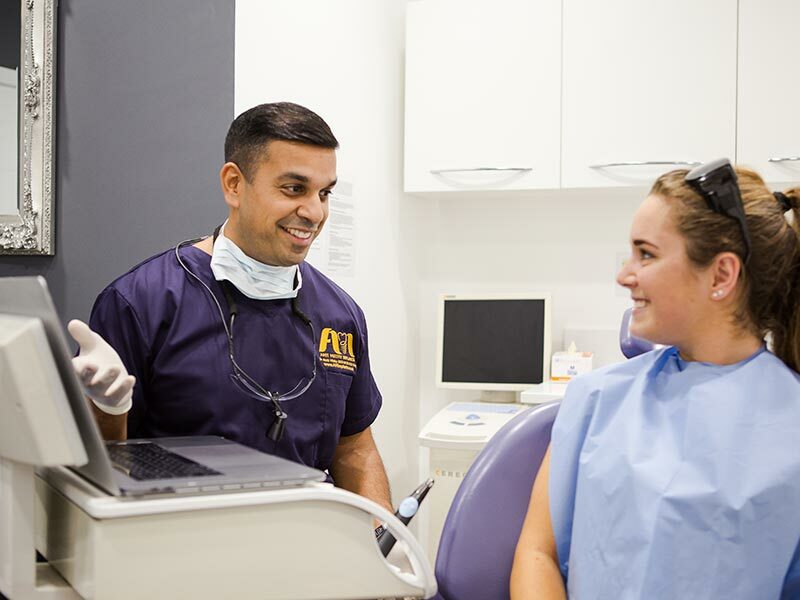 Amit is pleased to take on any implant case, from the most basic to the most advanced. Simple implants are cases where there is sufficient bone mass and density to retain the implant and only one or a few implants are required. In these cases, implants offer a significant benefit to the patient over bridgework, which requires the grinding down of adjacent, otherwise healthy, teeth, or partial dentures. Ideal for patients with failing dentition who are otherwise facing wearing complete dentures, or who are unable to tolerate their dentures for any reason, including low self-confidence. Also called ‘teeth in a day’, this procedure involves placing four implants in each arch and then affixing a bridge to each. The entire procedure is completed in one day, with a temporary bridge that is worn until the patient’s permanent bridge is crafted. The ‘miraculous’ result for the patient is that they walk in with failing teeth and walk out with a brand-new set. Some patients are not immediately suitable for dental implants, due to insufficient bone mass or density to adequately retain the implants. In these cases, there are several options, including sinus lift and bone grafting, however a third option is to use zygomatic implants. These implants are slightly longer and engage into the cheek bone rather than the jaw bone to secure teeth.Where appropriate, this allows the patient to avoid the additional surgery associated with sinus lifts and bone grafting. When planning implants for the upper jaw, we sometimes find that the sinus position does not allow enough room for implant placement. In these cases, we have the option to lift the sinus and build up the jawbone underneath it by packing the space created with bone granules. These regenerate over the following months, after which the implants can be placed. In some cases, it is even possible to place the implant at the same time as the sinus lift. 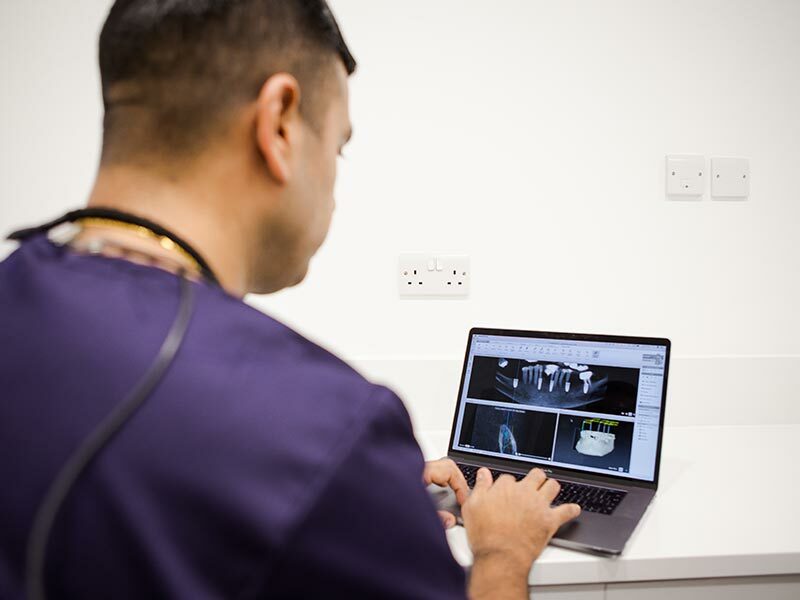 In cases where there is insufficient bone for implantation, and where zygomatic implants and/or sinus lifts are not appropriate, we can offer a block bone graft procedure. 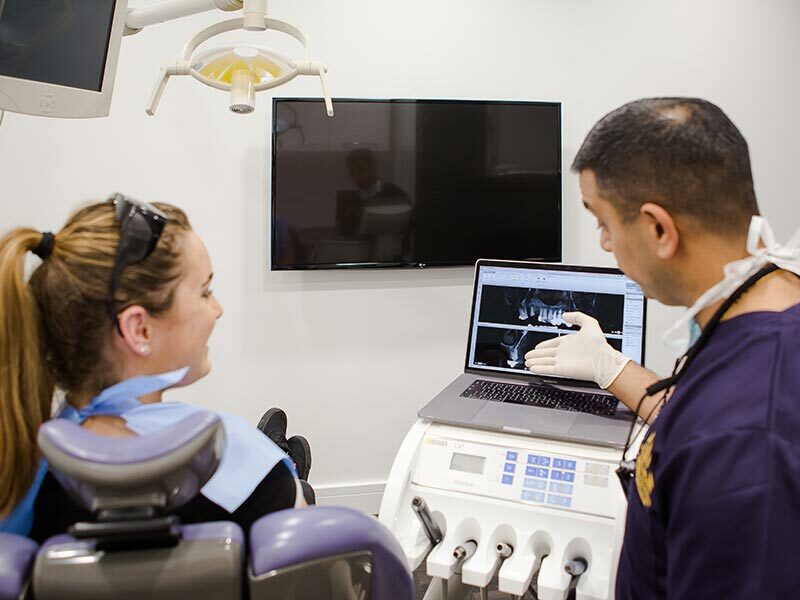 For this, we remove a small block of bone from the back of the jaw (where the wisdom teeth would be) or the chin and transfer it to the proposed implant site, making the bone volume enough to place a dental implant. There is usually a three to six month waiting period to ensure that the patient is fully healed before placing the implant. View before and after images of real patients dental implant cases performed by Amit. Read testimonials from patients and dentists alike regarding their experience with Amit. Referring dentist or inquisitive patient? Get in touch with Amit today, he is always happy to help.